An important part of our work is to understand the products and services of each client, the business philosophy and the essence of each partner we collaborate with, in order to be able to make their online representation as efficient as possible. Throughout our existence we have collaborated with important partners, which are actives both in Romania and abroad, working in various fields: from shoes, electronics, industrial production, furniture, to construction consultancy, project management, medical practices, the production of thermal insulating windows and non-governmental associations. The variety of areas that our clients are coming from challenges us to learn how to promote and highlight any business, regardless of its industry area. Brand of CASA NOASTRA SA company, based in Craiova, Dolj county, QFort is one of the largest producers and distributors of PVC windows and PVC insulating doors in South-Eastern Europe. Although the mother company was founded in 1995, the QFort brand was established in 2007 and now owns one of the most modern production capacities in Europe, being among the export leaders in its industry area. The quality of QFort products is appreciated by customers from Italy, France, Germany, Austria, Switzerland, Belgium, the Netherlands and Romania. 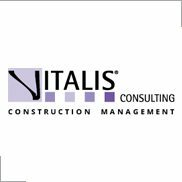 Established in 2006, Vitalis Consulting is a construction consultancy company, being one of the top Romanian companies in the real estate sector, recognized nationally and internationally. Vitalis provides Project and Cost Management services, Project Monitoring services, Site Inspection, Technical Due Diligence. The company has a portfolio of over 200 clients and about 100 delivered projects from various sectors, such as residential, office, industrial, retail, hotel and commercial. Established in 1994, Master Print Super Offset typography succeeded in becoming one of the best known in Bucharest and beyond. The projects portfolio of Master Print includes a wide range of prints, from indispensable business cards, to art albums of perfect accuracy. Established in 1998, Graphic Studio architecture agency is one of the most successful in Romania, being recognized both nationally and internationally. During its activity, the company focuses on sustainable design, with active involvement in promoting and identifying ecological solutions. Graphic Studio has an impressive portfolio of clients from multiple areas of activity: office, residential, sports, education, etc. CEPSI is a creative psychology center that combines psychology with creativity and passion for working with people. The company organizes creative workshops for adults and children, personal development programs, psychotherapy sessions, career counselling services, as well as specially designed programs for various companies, all of which are based on the latest specialized studies in the field. 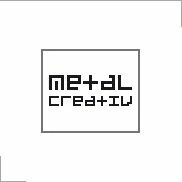 Established in the beginning of 2016, Metal Creativ designs and manufactures custom design pieces made for houses, restaurants, terraces, bars, etc. Besides custom made pieces, Metal Creativ also develops two product lines: traditional and industrial. Magazinul Raspsodia (Raspsodia Store) is a musical instruments store, opened in 1999 as a representative of the HORA SA instruments factory. The company produces a wide range of traditional musical instruments, being one of the largest company in Eastern European. The Rhapsody Store sells both HORA SA and other well-known brands such as D’Addario, Fishman, Pirastro, Savarez and Thomastik.